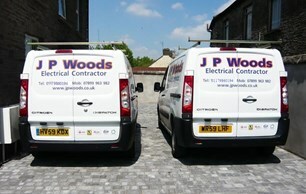 JP Woods Electrical - Alarms/Security, Electrician based in Keynsham, Somerset. Welcome to J P Woods Electrical. Formed in 2004, we are a local authority approved contractor, with a proven track record and we have demonstrated that we are reliable and professional, at all times. We are NIC EIC registered and employ a small team of electricians, who travel in fully equipped vans, ready to offer an efficient, speedy and flexible breakdown and installation service. We carry out a diverse range of electrical works for homeowners, landlords, tenants and businesses in domestic, commercial and industrial properties. As a team we pride ourselves on our approach to tidiness when working in our clients' properties. Contact us today, to discuss your electrical requirements or to arrange a free quotation.